Up to 50,000 young people will take part to discover the extent to which victims of abuse begin to display mental health problems and psychopathic personality traits. PSYCHOLOGISTS at the University of Huddersfield will conduct a survey of up to 50,000 young people around the world in order to discover the extent to which victims of abuse begin to display mental health problems and psychopathic personality traits and how they can be halted. Findings from the ambitious exercise will feed into a £4.6 million, five-nation project based at the University that is developing pro-social computer games designed to prevent gender-based violence. The project is named None in Three and is co-directed by Professor Adele Jones and Professor Daniel Boduszek, from the University of Huddersfield. Professor Boduszek and Research Fellow Dr Dominic Willmott will supervise and analyse the large psycho-social survey that will see confidential questionnaires completed by up to 50,000 school-age children and young offenders in the countries taking part in None in Three – the UK, China, Uganda, Jamaica and India. There will also be a contribution from Professor Matt DeLisi, of Iowa State University. One of the most prolific and highly-cited criminologists in the world, his areas of expertise include the impact of adverse childhood experience on the development of criminality. 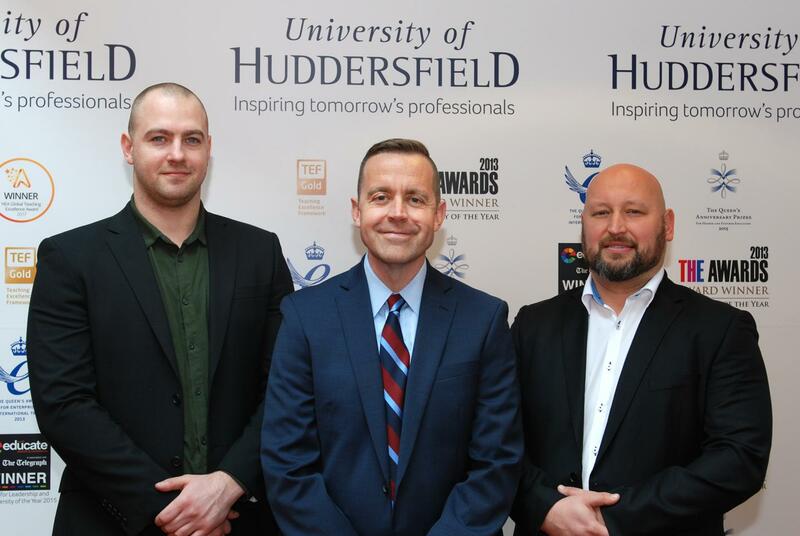 He has been appointed a Visiting Professor of the University of Huddersfield, where he recently delivered a guest lecture titled Psychopathy as a Unified Theory of Crime. Previous research among offenders from maximum security prisons and children by the research team has shown that there is a link between high psychopathic traits and experience of sexual abuse during childhood. Now, as part of None in Three, Professor Boduszek and Dr Willmott will analyse the 50,000 multiple-choice questionnaires hoped to be completed by early 2019. They aim to discover how child abuse and neglect experiences can lead to a range of mental health problems. "We strongly believe that this experience can link not only to anxiety, depression and self-harm, but also to development of psychopathic traits," said Professor Boduszek. These victimization experiences can then lead to future perpetration of violence, added Dr Willmott. Therefore, it will be a major gain if None in Three can reduce levels of abuse, thus preventing the development of psychopathic traits in those who experience or witness severe abuse in their childhoods. All of the five nations taking part in None in Three have a director, supported by research assistants. They have now received training at a three-week course at the University of Huddersfield. The country directors will circulate and collate the questionnaires that provide data for the psycho-social survey. "We will use self-report questionnaires rather than face-to-face interviews because children, particularly boys, do not feel comfortable openly disclosing sexual abuse. The exercise has to be anonymous and participants have to be sure that no-one will track their experiences back to them if we want to get honest responses," said Professor Boduszek. "In terms of stratification, we are looking at children – boys and girls – from rural and urban areas, private and public schools and youth offending centres," said Dr Willmott. "We are aiming for 10,000 in each country in order to get a good, representative cross-section of backgrounds and experiences." Professor Boduszek and Dr Willmott will have research assistants for the ambitious task of analysing the data. Their findings will be relayed in academic articles and will also aid the development of the pro-social computer games that are the chief goal of the None in Three project, which was awarded £4.3 million from the UK Government's Global Challenges Research Fund. The University of Huddersfield's own research fund contributed an extra £287,720. Specialists from a range of disciplines – from the social sciences to computer technology – are collaborating on the project. Professor Boduszek and Dr Willmott will be also responsible for randomised control trials aimed at subsequent evaluation of game effectiveness post-implementation.